If you haven't yet seen James Gray's The Immigrant, make a beeline for the Gene Siskel Film Center next week, when it returns to Chicago for its second run. One of the major achievements of recent American movies, Gray's immersive period piece channels the raw emotionalism of silent melodramas and Italian opera without coming off as nostalgic or studied. Despite the film's impeccable artistry—not to mention the rave reviews it received at the Cannes Film Festival and during its commercial run in France last fall—its U.S. distributor, the Weinstein Company, almost didn't release it theatrically in this country. Up until spring it was rumored that The Immigrant would be released here direct to DVD and video-on-demand services. Thankfully, that didn't happen; Darius Khondji's cinematography and Happy Massee's production design demand to be appreciated on a big screen. Still, the Weinstein Company did its best to stymie the film's commercial potential, refusing to advertise it or even notify the press it was coming out more than five days in advance. The Immigrant's arduous journey to American theaters reveals a lot about U.S. movie culture, not just the Weinstein Company or Gray. Granted, the distributor's effort to marginalize an acclaimed, star-driven film suggests the sort of Hollywood power play that has nothing to do with entertainment value or artistic merit. (Given Harvey Weinstein's tendency to reedit the movies he distributes, it's possible he wanted Gray to recut the film and then suppressed it when Gray didn't; this is exactly the fate that befell Jim Jarmusch's Dead Man.) Likewise, The Immigrant's cultural influences sit far enough outside contemporary American tastes that one can't really fault a distributor for doubting whether mainstream U.S. audiences would see it—especially since none of Gray's previous four films made much of an impact here commercially. The Immigrant isn't any less accessible than 12 Years a Slave, Nebraska, or Her, to name some recent American films that were both critically and commercially successful. What makes it different from those is that it's a serious work that's also an unabashed genre film. Gray shows respect for melodramatic conventions (some of them well over a century old), and asks viewers to do the same; the film reaches its specific insights by way of familiar narrative tropes, and this grants the insights a certain timeless authority. There aren't many American filmmakers still working in this mind-set, which might explain why Gray remains a marginal figure in his own country. 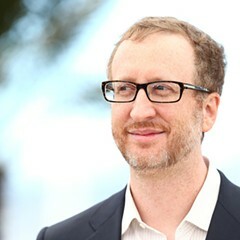 The writer-director acknowledged as much in a December 2012 interview with the website Indiewire, in which he bemoaned the "disappearing middle" in American movies. "There is tremendously interesting cinema being made that is very small, and there are very huge movies which have visually astounding material in them," Gray said, implying that fewer American movies now exist between those two extremes. Gray cited Raging Bull as an example of the sort of great filmmaking endangered in the current environment, explaining that Martin Scorsese's 1980 masterpiece "could not be a low-budget movie, it just couldn't. There's a certain scale that's involved in making it, and no [studio] would make Raging Bull today." It's worth stressing that Bull didn't come out of nowhere. In 1980 American studios released far more films for grown-ups than they do now; not all of them were good, of course, but they helped maintain demand for serious filmmaking within the mainstream. Blood Ties and Gambit, two recent American genre films that didn't screen in Chicago but are now available on DVD, feel like dispatches from the disappearing middle. Both feature name actors, quality production values, and middle-aged protagonists struggling to find self-respect. Neither film transcends the conventions of its genre—crime drama and screwball farce, respectively—but then neither aspires to. The pleasure of each derives in part from how the filmmakers play with those conventions and shape them to fit the characters and themes. Neither one is all that great, though I found them both refreshing in their unironic appeals to tradition. I would sooner revisit either in a theater than any of the adolescent-minded genre films I've had to review this season. Of these two titles, Blood Ties (2013) may be harder to defend. Coscripted by Gray and director Guillaume Canet, the film is a highly familiar morality play about two brothers on opposite sides of the law. Chris (Clive Owen) is a hotheaded ex-con trying and failing to go straight; his younger brother Frank (Billy Crudup) is an idealistic cop determined, against his better judgment, to help his childhood hero. The story takes place in a working-class Italian-American enclave in mid-70s New York, evoking Scorsese's Mean Streets and GoodFellas. The French filmmaker shows little feel for this milieu, though, and with the exception of James Caan (who's quite good as the men's father), neither do any of the actors. Canet aspires to the spontaneous energy of Scorsese or Abel Ferrara, having the players improvise their dialogue during the more intense domestic scenes, yet these moments generally feel overblown and unfocused. Crudup lacks the forcefulness to play anguish convincingly, and Owen tends to drop character whenever he starts yelling. Marion Cotillard and Mila Kunis—woefully miscast as Owen's prostitute ex-wife and naive young girlfriend—simply seem lost. None of this is boring, however. As demonstrated by his international smash Tell No One (2006), Canet is not an inept filmmaker. Numerous conversations in Blood Ties play out in medium-long shot, which has the poignant effect of making the characters seem literally overwhelmed by their environment. A climactic foot chase through a grimy alley, shot with a handheld camera, suggests what an action film directed by the great Jean-Pierre and Luc Dardenne might look like. Even the awkward shouting matches reflect Canet's underlying seriousness. Clearly inspired by Scorsese, Ferrara, and Gray, Canet recognizes the operatic potential of his archetypal pulp narrative. He seems less interested in the interrelatedness of cops and robbers than in the challenge of changing one's life when social circumstances make it nearly impossible. The film is embarrassing as only failed good intentions can be. Gambit (2012), a loose remake of a 1966 heist comedy with Michael Caine and Shirley MacLaine, is more modest in its ambitions—so modest, in fact, that one character even remarks near the end how trifling the story has been. Yet I found plenty to enjoy here, not least the literate comic dialogue by Joel and Ethan Coen. This is surely the Coens' lightest concoction since their remake of The Ladykillers (2004), and like that film it feels like a sketchbook of their most cartoonish ideas. 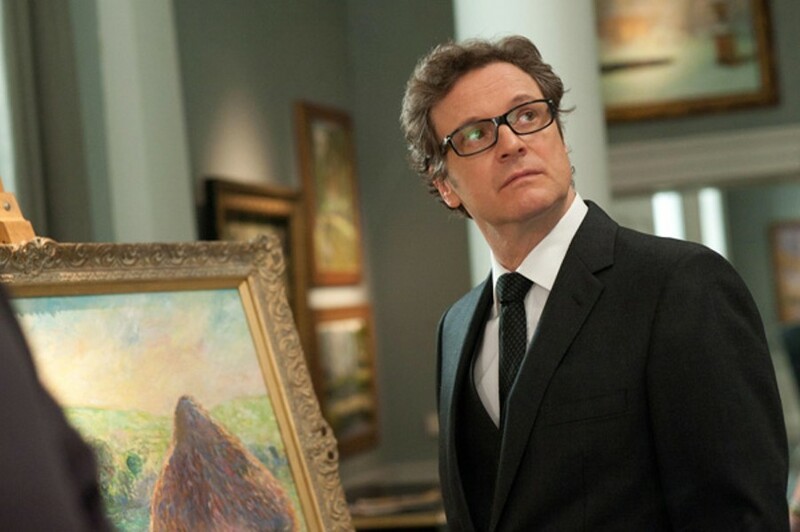 The deliberately convoluted story has a bumbling art expert (Colin Firth) attempting to scam his wealthy boss (a hilarious Alan Rickman) into buying a forged painting. In his scheme he hires a dimwit Texas cowgirl (Cameron Diaz) to pretend she inherited one of Monet's haystacks, but the plan goes awry when the boss takes a liking to her. Some of the complications are rather funny (in one extended set piece a pantsless Firth tries to smuggle an antique vase out of a luxury hotel), though just as many come off as routine. The problem lies less in the script than in Michael Hoffman's graceless direction. The storytelling drags when it ought to be brisk, since Hoffman fails to establish any kind of comic rhythm. On the other hand, Gambit displays greater care in its plotting and characterization than Chef or Think Like a Man Too, two comedies currently in theaters. The central joke of the movie is that Firth's character, Harry Deane, is hardly the criminal mastermind he thinks he is. Virtually none of his ideas play out as he plans, and he constantly arouses the suspicions of the very people he tries to fool. The Coens' filmography is full of thwarted schemers, yet there's something special about Deane. Fluent in high society but only up to a point, Deane is almost touching in his struggle to appear sophisticated. He reminded me a bit of the heroes of such Vladimir Nabokov novels as Despair and Laughter in the Dark, clueless but not idiotic men who refuse to acknowledge their own loneliness. I don't want to pass off Gambit as a Cowardesque comedy of manners; the film has plenty of visual humor and even one fart joke (which is one of the movie's better-timed gags, in fact). Still, Deane's unacknowledged identity crisis communicates the sort of grown-up ambition that's getting edged out of American genre entertainment. 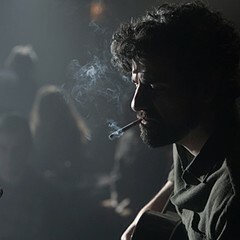 Inside Llewyn Davis is a tale of art and money.